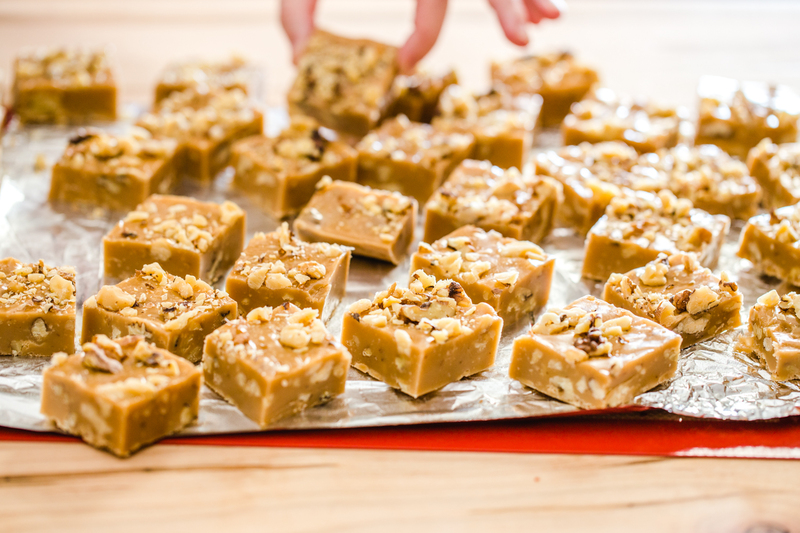 This post, Gingerbread Marshmallow Fudge, is sponsored on behalf of Campfire® Marshmallows. All opinions are, as always, my own. Thank you for supporting the brands that I love and that help make Jelly Toast possible. Tomorrow marks the beginning of December (!!!!!) and it’s the time of year when Christmas cookie platters begin to pop up when 3 or more people are gathered. You all know I love an exciting holiday cookie platter with a variety of flavors and textures (hello peanut free butterscotch haystacks and ginger caramel thumbprint cookies!). 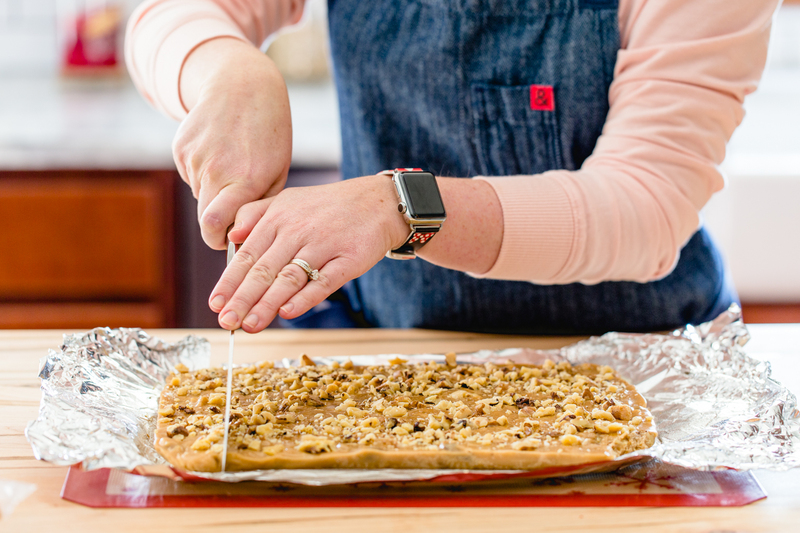 This month I am excited to bring you some of my family’s classic favorites as well as some new additions like this Gingerbread Marshmallow Fudge made with Campfire® Gingerbread marshmallows, white chocolate, and crunchy walnuts. 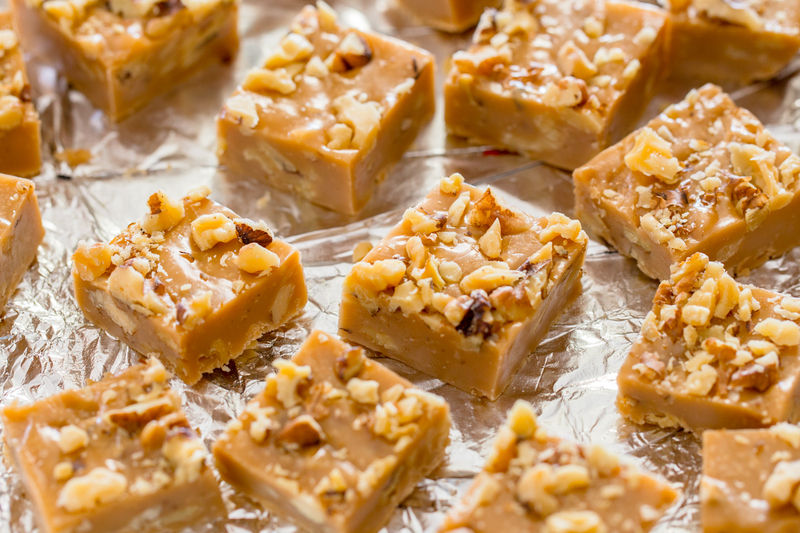 Fudge can be an intimidating thing to make, but honestly couldn’t be easier! Especially when you use marshmallows. 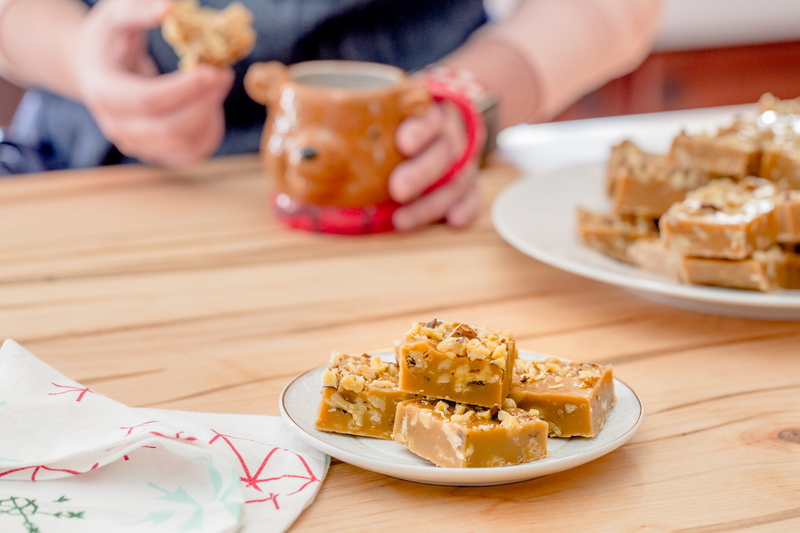 This version of this easy marshmallow fudge uses Campfire® Gingerbread marshmallows that are toasty golden in color and slightly spiced with gingerbread flavors. 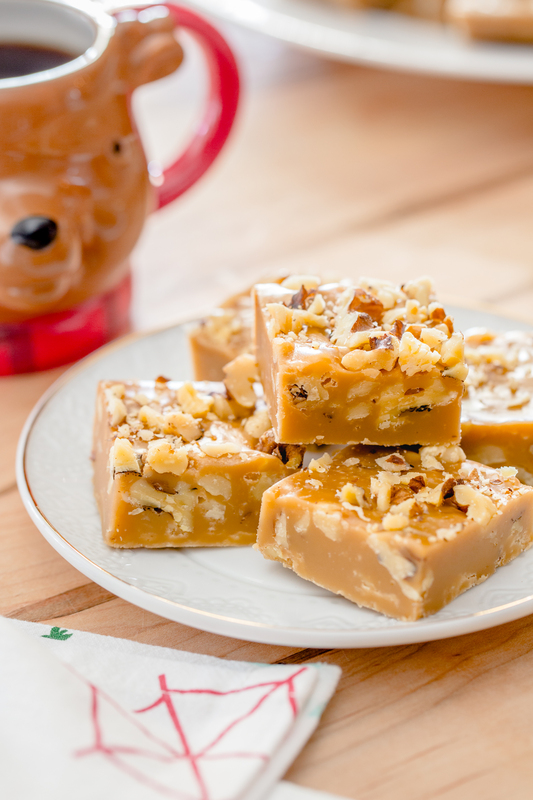 To keep the lovely golden color of this fudge, I decided to use white chocolate as the ‘chocolate’ component and add in some crunchy walnuts for texture. 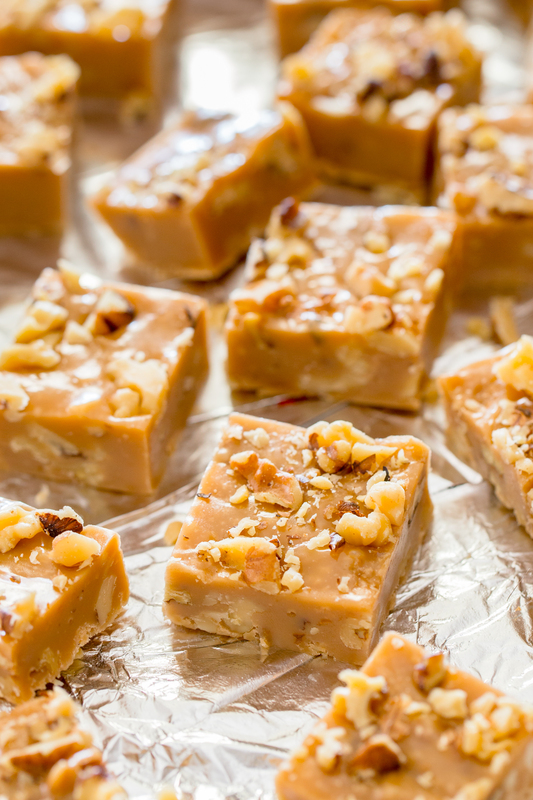 The white chocolate not only maintains the golden color, but it doesn’t overwhelm the spiced marshmallows which are the real start of this little fudge. I also wanted to update you on something that has been an ongoing theme here on Jelly Toast for the last 5 years. You may remember that my 8 year old daughter, C, has a peanut allergy. 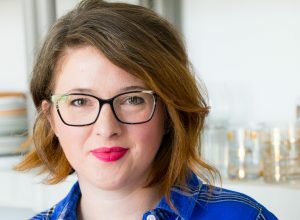 We had previously been keeping her away from all nuts due to fear of cross contamination but now that she is older, her new allergist brought up the idea of in-office food challenges to help get her eating nuts that she is not actually allergic to. The idea is to introduce her to more foods and not keep her away from foods unnecessarily. She has always tested positive for peanut allergy and off and on has had tests that show a possible reaction to hazelnuts and pistachios. This summer, we began having her go through a food challenge (monitored in the doctor’s office) eating nuts that she has never tested positive to so that we can expand her diet. After multiple challenges, she can now safely eat almonds, pecans, and walnuts! This is a huge deal for us and I could not be more excited. If you live with food allergies or know someone who does, you will understand what this can mean – especially approaching the holidays when nuts are popping up everyone in treats and side dishes. 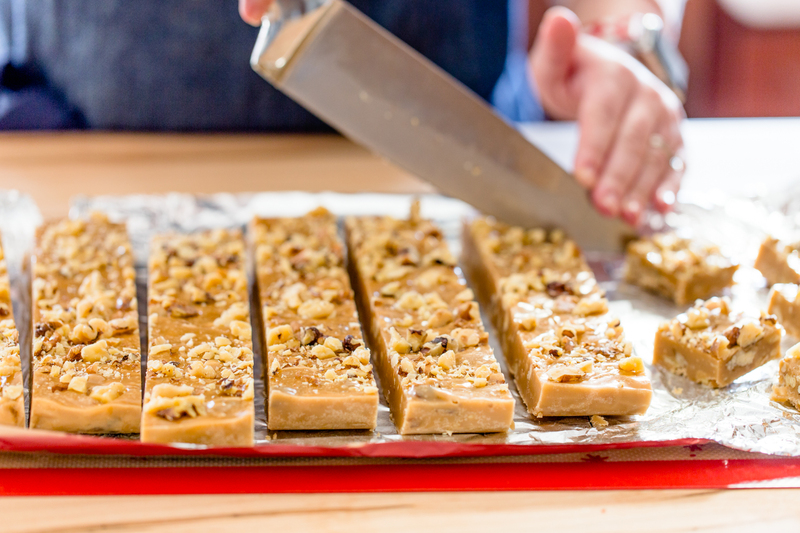 That was one of the driving forces behind wanting to make this lovely gingerbread marshmallow fudge! 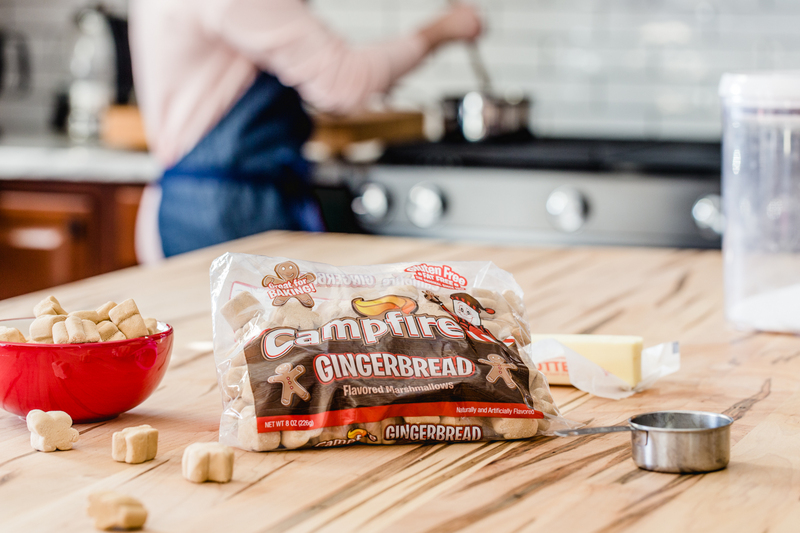 So, when compiling your recipes of Christmas cookies and candies to make this season, be sure to pick up a few bags of Campfire® Gingerbread marshmallows so that you can make a batch of this sweet, buttery fudge! What kind of cookies and candies will be showing up on your cookie platter this season? I’d love to hear what you have planned! Line a 9x13 inch glass dish with foil. Spray lightly with non-stick baking spray. Set aside. Heat sugar, unsalted butter, evaporated milk, Gingerbread marshmallows, and mini marshmallows in a large saucepan over medium heat, stirring until butter and marshmallows are melted. Bring mixture to a boil stirring constantly. Boil and stir for 5 minutes. Stir in chopped white chocolate and vanilla extract, stirring until white chocolate is melted. Stir in 1 1/2 cups of the walnuts. 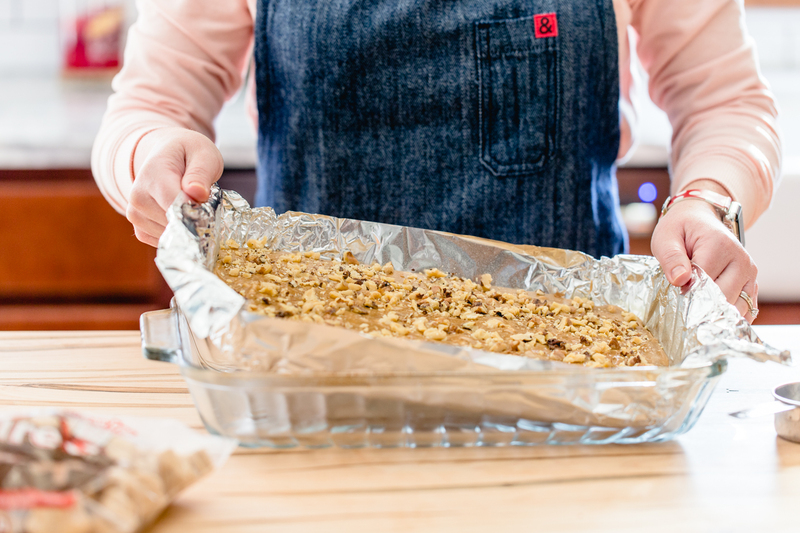 Immediately spread into prepared pan and sprinkle with remaining walnuts. Refrigerate for several hours or overnight. Cut into about 1-inch squares. Store in airtight container in refrigerator. Looks delicious!I should try one!